It’s a big month for lost manuscripts, July 2015. Midnight parties around the world to celebrate the publication of Go Set a Watchman. 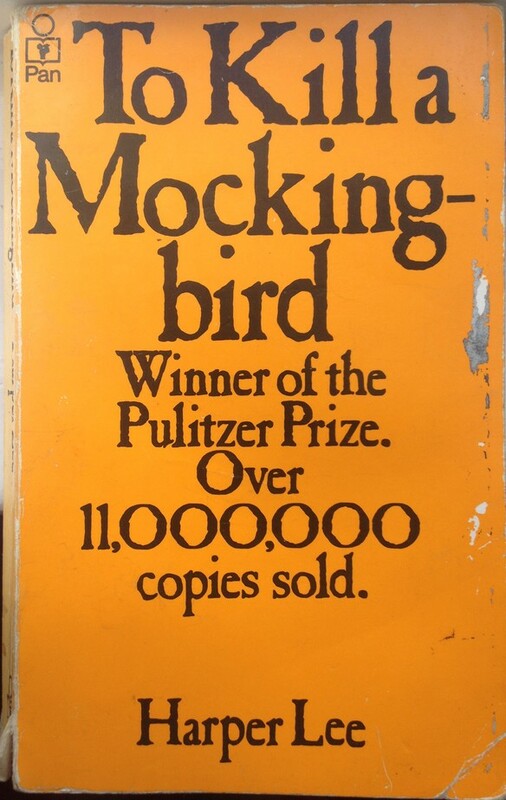 This is the first novel from Harper Lee since the universally beloved To Kill a Mockingbird was published by JB Lippincott on 11 July 1960, exactly 55 years ago today. (Universally beloved and one of the bestselling novels of the 20th century: it’s never been out of print and is a favourite with exam boards, which means that schools purchase new copies year after year.) The new novel has a strange history. After the success of To Kill a Mockingbird, Harper Lee shunned celebrity and the literary world; she stopped giving interviews to the press in 1964. She just got on with whatever she wanted to do for the rest of her very private life. She shared a home with her sister, Alice, in Monroeville, Alabama, where she had been born in 1926. She had no need to work: her first publication saw to that. So Harper Lee might have happily remained in that small but distinguished category of authors who have published only one work of fiction. Then two things happened. One: Lee’s lawyer, Tonja Carter, went through all her papers in 2014 and discovered the lost manuscript. It was in “a secure location”, affixed to an original typescript of To Kill a Mockingbird. Two: Lee’s sister Alice, for many years her protector, died in November 2014 at the age of 103. Pretty quickly thereafter, Tonja Carter negotiated a deal with (who else?) HarperCollins for publication. Pretty quickly, people were declaring what they could see all over the place. They declared calumny, mainly. Lee had said she never want to publish anything else so why, at the age of 88, had she suddenly changed her mind? If the book wasn’t good enough to pass the whip of her editor at the time of submission, why was it suddenly good enough now? Why, back in the 1960s, after Mockingbird had been such a tremendous success and the author was being dilatory with a follow-up, didn’t the publishers dust off the manuscript already in their hands and bring it out as a sequel? In a statement to the New York Times, Tonja Carter said that Harper Lee was “extremely hurt and humiliated” at suggestions that she had been pressured into publication. Nevertheless, The Alabama Securities Commission launched an investigation under their remit to help prevent financial fraud against the elderly. After talking with her, they concluded that Lee wanted the book published. “Shoot all the bluejays you want, if you can hit ’em, but remember it’s a sin to kill a mockingbird,” says Atticus Finch. Is Go Set a Watchman a bluejay or a mockingbird? Guess we’ll soon find out. Publication is on 14 July. The initial print run? Two million copies. A triumphant lost manuscript, indeed. * Even that is disputed. The New York Times reported that Justin Caldwell, Sotheby’s rare-book expert, discovered the typescript of Go Set a Watchman during a visit to Alabama in 2011. At that meeting, to appraise a Mockingbird manuscript for insurance purposes, both Tonja Carter and Samuel Pinkus, Harper Lee’s then agent, were present. Tonja Carter acknowledged that she had been there but she said that was out of the room running “an errand” during the crucial time and therefore knew nothing about the new manuscript. “Really?” some people said. This entry was posted in Misplaced manuscripts and tagged Go Set a Watchman, Harper Lee, Mockingbird on 11 July, 2015 by Horatia.